If people can sing it, they'll buy it, right? 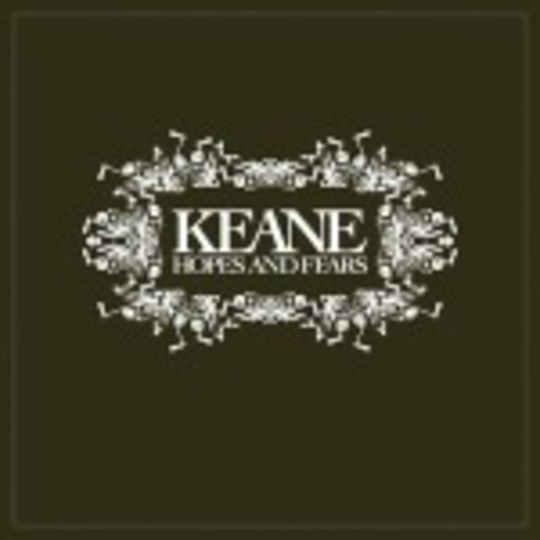 Introducing Keane's Hopes and Fears. Rock n roll is as much ideology as music. Oasis took working class retro and stuck a Brit Award up its arse, while Hendrix set his guitars alight. Keane... don't have a guitarist. Let's forget novelties and remember that just because they're this year's Starsailor, bring nothing new to the table and sing like a girl, it doesn't make Keane's debut a bad record. Anyone who's had that nightmare about the Snowman boy singing Travis karaoke will be instantly at home with the post-adolescent, middle England indie on show. Subsequently, the Sussex trio eschew theatrics, costumes and fads in favour of the more basic aspects of tune. They write lowest common denominator daytime rock for people who listen to Radio 2 and shop at JJB Sports. Lyrically, compared with the over-education of Morrissey, and the punctured literacy of Noel Gallagher, Tim Rice-Oxley's songwriting seems immature and without the emotional succinctness of many of their peers. Although their youthful paranoia and flimsy emotions are forgivable, the incredibly clichéd and transparent imagery is simply not. "You're gone from here/Soon you will disappear/Fading into beautiful light." Much of it is truly cringe-worthy, though admittedly simple enough for the masses to digest. It's romance for the under-romanced. Very much like Maximilian Hecker's recent LP Rose, but without much of the style or beauty. Rhythmically, Hopes and Fears is all compressed drums, trebled up in the centre of the mix, with the bass tightly wound round in a very Smiths-esq manner. Many of Richard Hughes' fills come straight from the Alan White (Oasis) school of drumming. Although he's undoubtedly proficient, the beats are the same across many tracks. 'Untitled 1' with its programmed simulations, stands out as the only track to break this regrettably formulaic mould. But the main problem with Hopes and Fears isn't that Keane wear their influences on their sleeve, or even that many of the songs are repetitive. It's that stylistically they are all over the place, and despite some fine moments, on the whole there's not enough that's memorable or above average. No one would give Keane a second glance if Tom Chaplin did not possess such a gift of a voice. 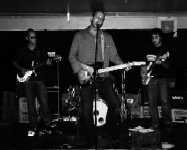 'Your Eyes Open' is a carbon copy of Coldplay's 'Daylight'. The beat and bassline are identical as is its spiralling minor chord piano, with dark and mumbling verse vocals. Although the major chord lift into the chorus is lovely, the song is second rate. 'On A Day Like Today' meanwhile, steals whole portions of 'Politik' for its overlong outro. The song is quite bland, and they use the off key lead-piano far too much. 'Sunshine' too, is worryingly easy listening in its arrangement and trailing, multi-tracked harmonies. The chord change into the yearning chorus "Can anybody find their home?" as well as Chaplin's vocal phrasing both sound unmistakably like George Michael and would be right at home amid the subdued reflection of Older. It's perhaps no coincidence then, that the co-writer/programmer of this and two other songs here is James Sanger, who has worked with the likes of Dido, Pet Shop Boys and Brian Ferry. Producer Andy Green has done a fine job of chiming up the piano to mimic guitars to the point where you really wouldn't know they weren't there. This does strip the band of identity though. You could tell a Placebo, Suede or Blur song before a note had been sung, but this record lacks edge and Keane have no signature beyond Chaplin's voice. When it's good, it's mighty fine however. Lead single 'Somewhere Only We Know' is a breathtaking opening, although its melody is regurgitated later, quite openly on 'She Has No Time'. 'Untitled 1''s minimalist miserabelia reminisces electro-Radiohead, although with a more personal sound. It's the most moving song here, although sadly, the brewing verses reach a tragic anti-climax at the chorus. It's hard to get over the style-robbery though. Everything here is borrowed and none of it is digested into any kind of identity. It means that the likes of 'Bend and Break' fill out Keane's songwriting formula and are forgotten the moment they finish. All the best bands took time to find their sound, so while the prospect of Keane extends David Grayward amid the realms of Radio 2, for many, this blandness is their selling point. The bitterest revelation for a band trading on the 'tune' wagon, is that this record doesn't even have one classic song. However, only those who expected true innovation will be disappointed. The rest of us will give a slow clap to their meticulously marketed campaign while awaiting a major label act in possession of a few ideas of its own.